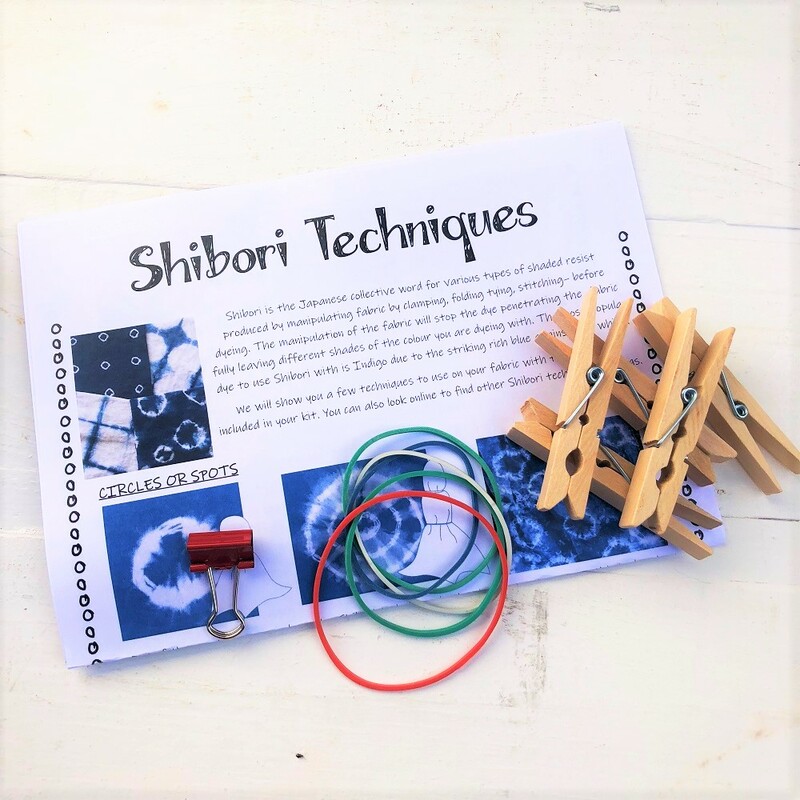 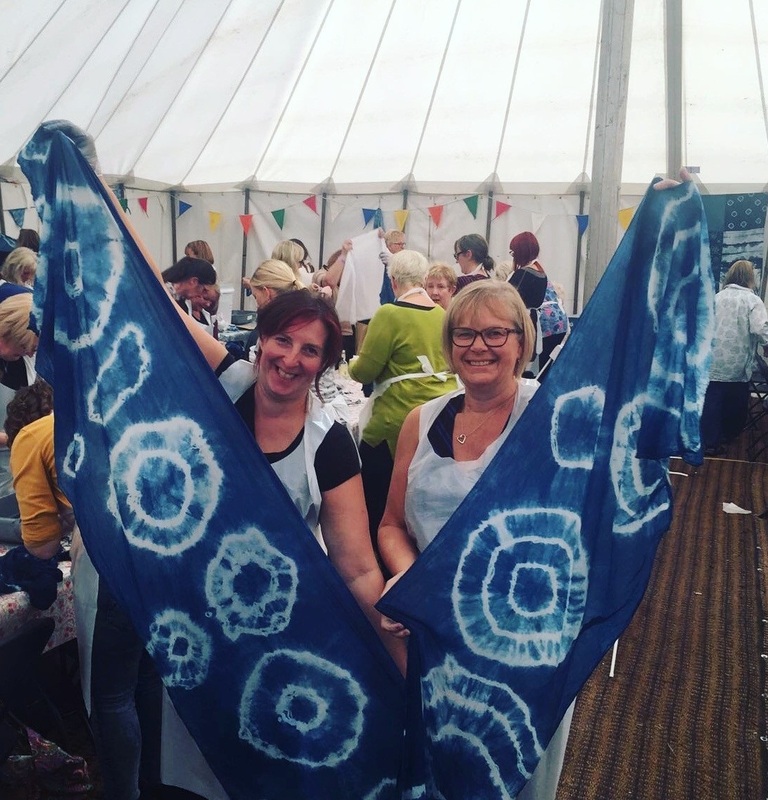 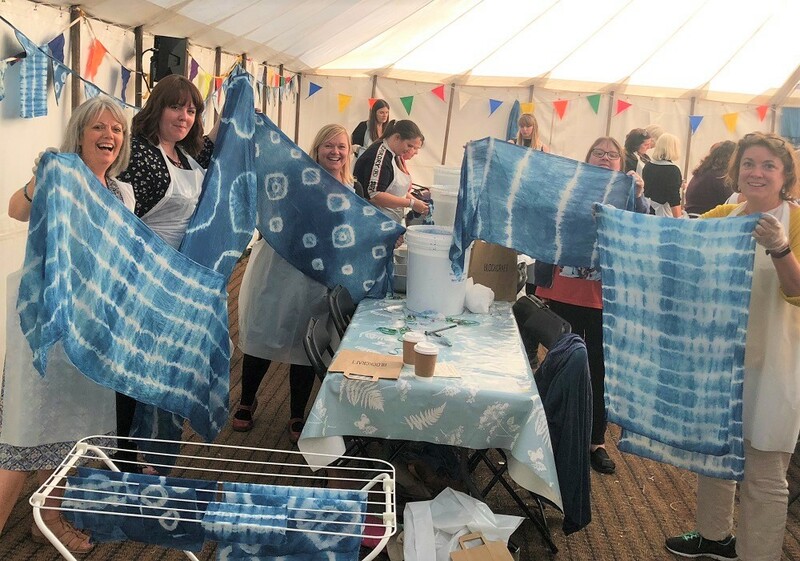 Hand dye your own fabric using our Natural Indigo Dyeing Kit, use Shibori Techniques to create unique patterns onto your fabric. 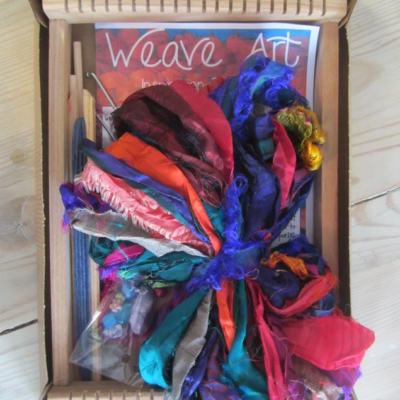 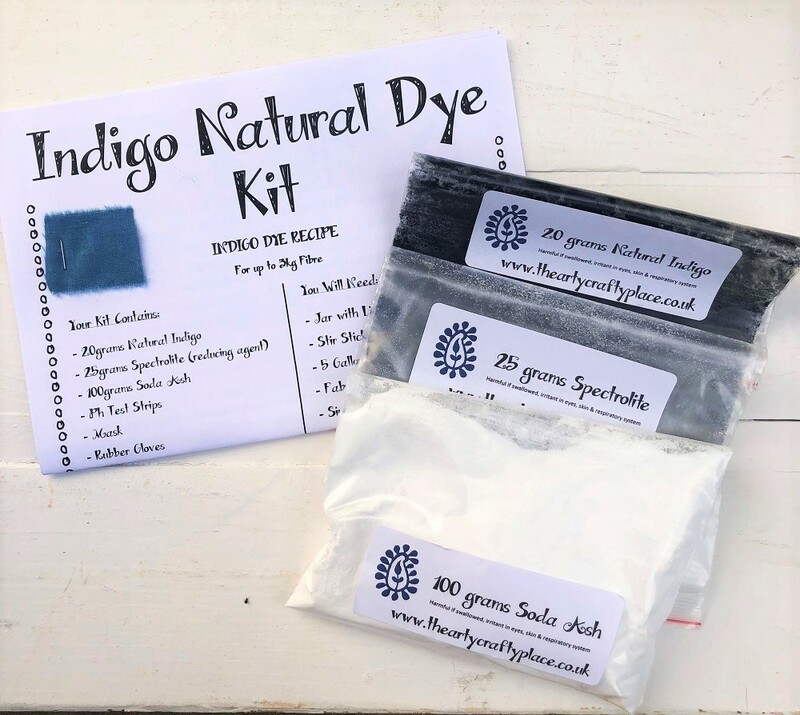 This kit makes dyeing with Natural Indigo quick & easy! 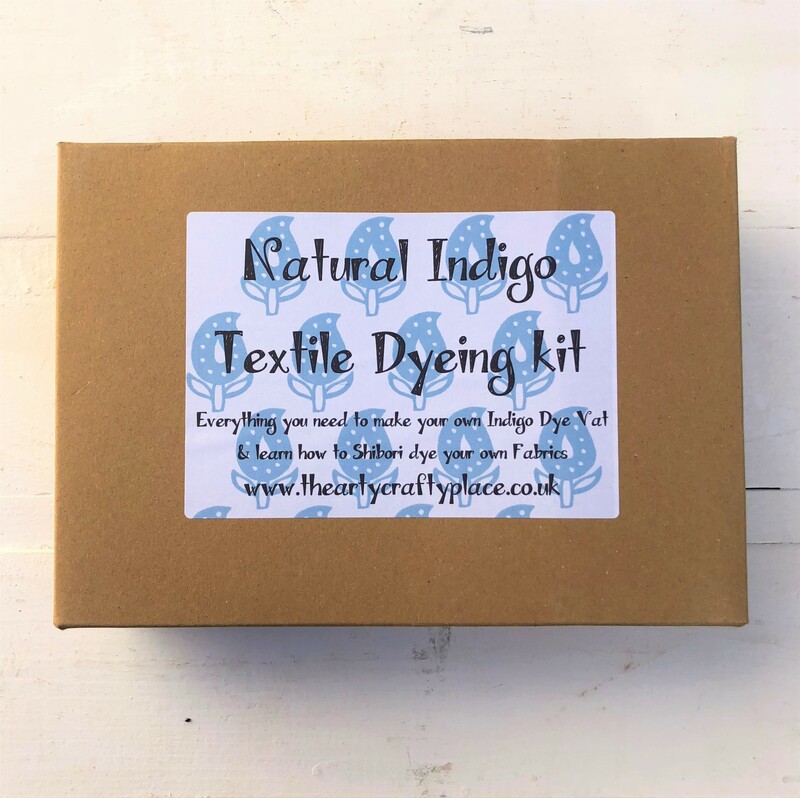 Our Indigo kit contains everything you need to hand dye up to 3kg of Fabric using pre-reduced Indigo. 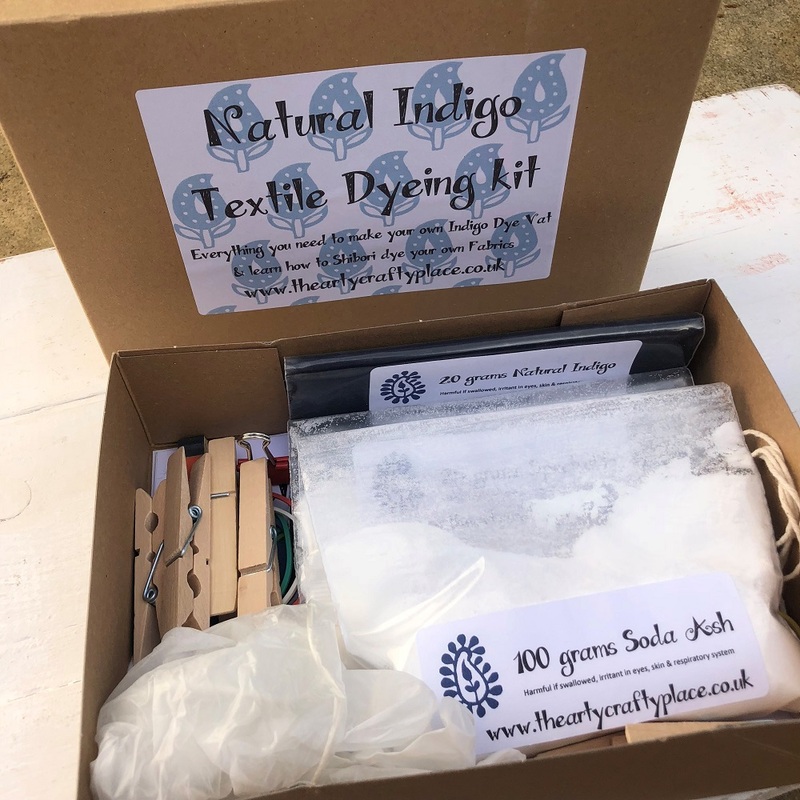 The Kit comes with all the instructions on how to make a 4-gallon dye vat, but you can break the recipe down and make several smaller vats. 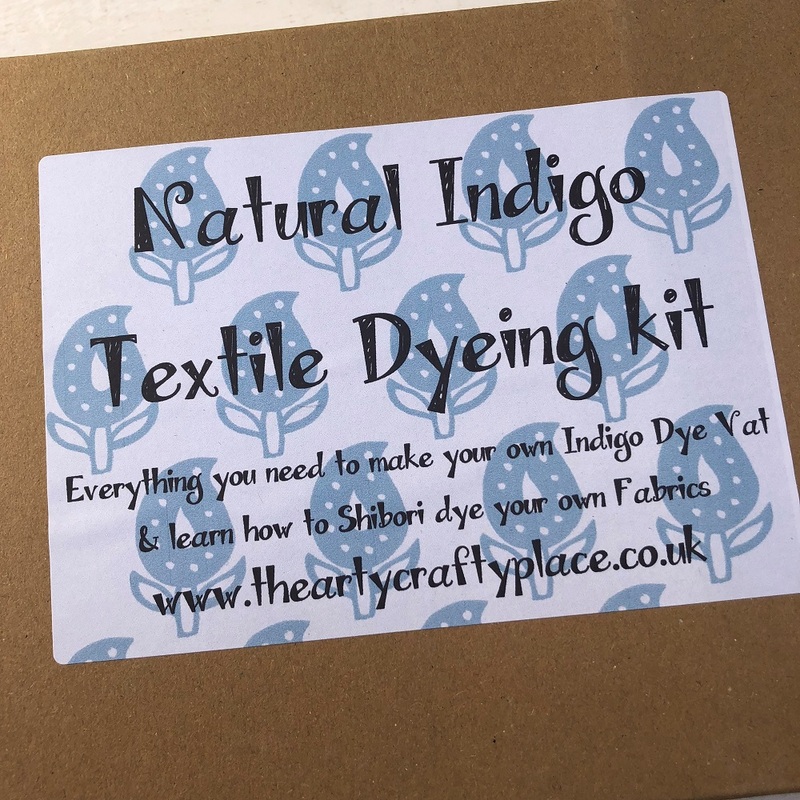 Once you’ve followed the instructions on how to make the vat, you soak your prepared fabric in the dye solution for several minutes. 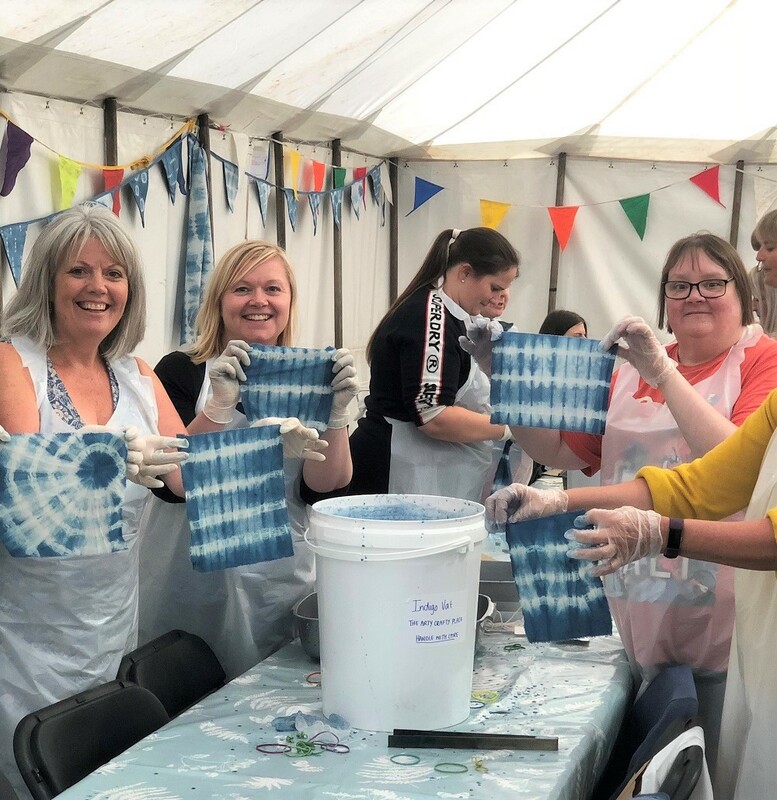 When you remove your fabric from the dye vat it will come out green, but as it oxidizes the colour will change from green to blue! 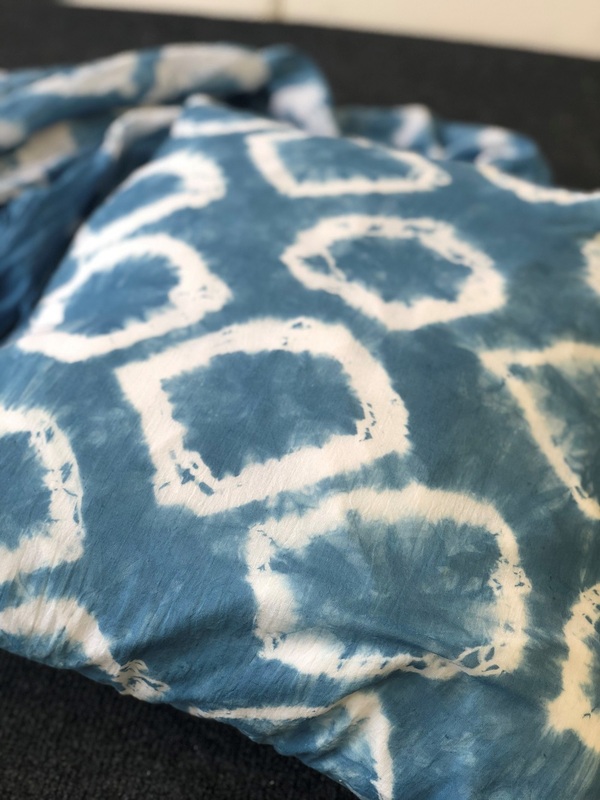 To create a deep colour blue, we suggest dipping your fabric in the dye bath again a minimum of 2 times to darken the fabric.